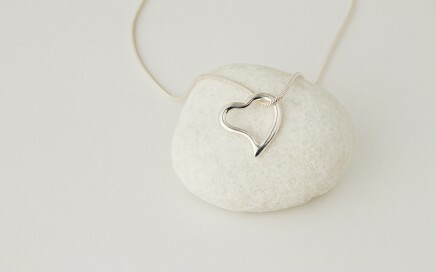 Recycled Silver heart with a 16 inch snake chain, contemporary simple design. 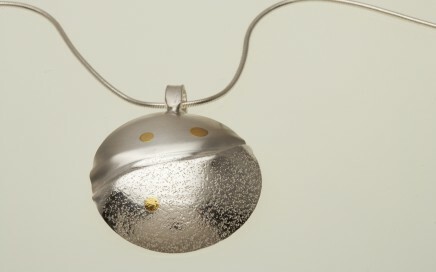 Elliptical Silver pendant with fold and texture decorated with 24 carat ethical gold dots. 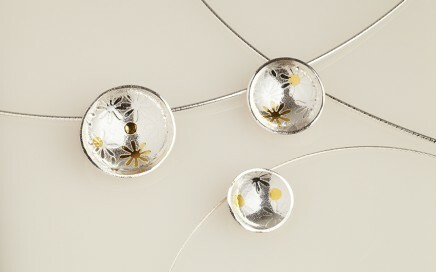 With an intended line running through, giving the pendant contours and movement. 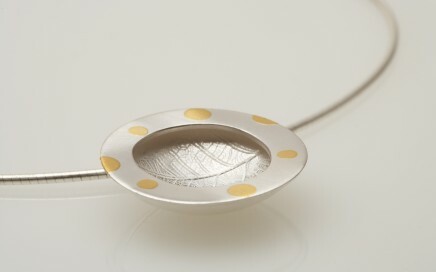 Silver pendant with textured concave dish decorated with 24 carat ethical gold inside the dish. 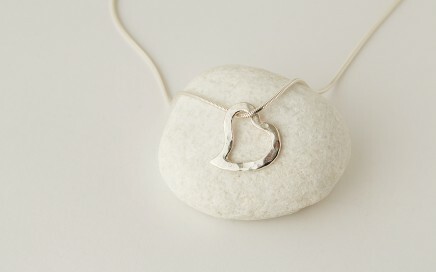 Recycled Silver Double Heart with 16 inch silver snake chain. 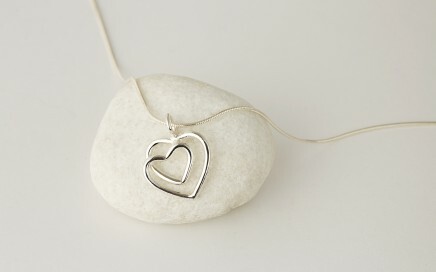 Silver woven into a double heart in solid silver. 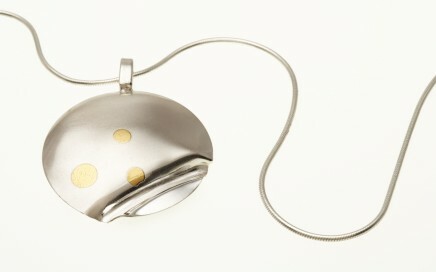 Silver pendant decorated with 24 carat ethical gold dots. 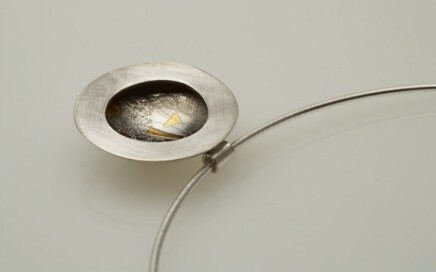 The disc is domed, the fold at the bottom gives movement and grace to the piece.